The ASD Living story began like many before it – with three friends, a home-cooked meal and a nice bottle of wine. Combine this with a passion for all things art, fashion and cooking and you have yourself a forward-thinking company whose range of kitchen textiles is forever on-trend. 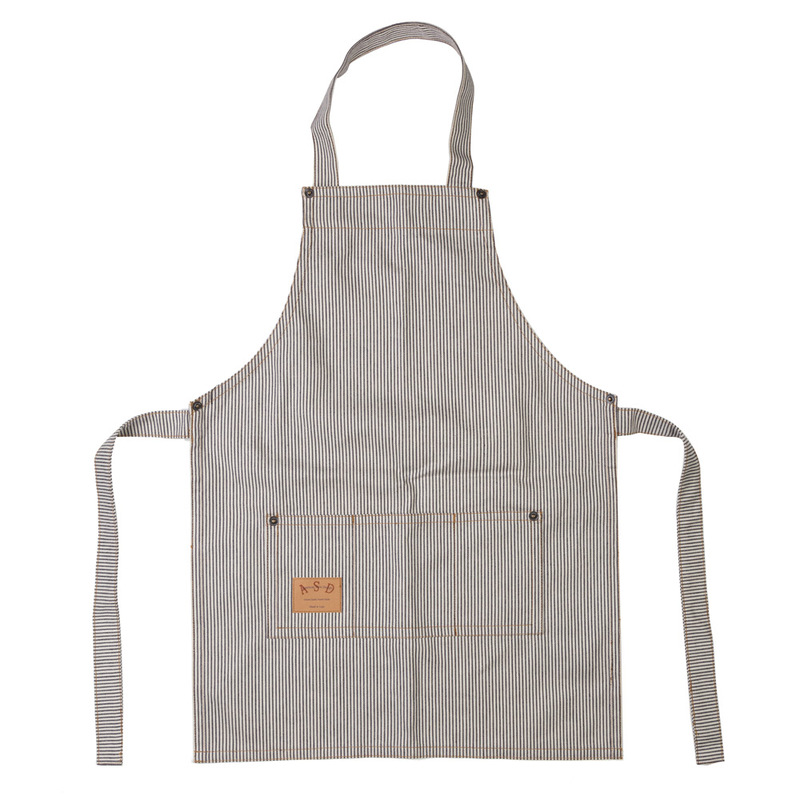 Striking the perfect balance between fashion and functionality, comes ASD Living’s collection of kids' aprons. Within this stylish range, you’ll find the Kids' Butcher Railroad Stripe Denim Apron, which is made from 100% cotton and will protect your child's clothes from splashes the next time you decide to have a baking day. With a Velcro neck halter, tie-up waist straps and three open pockets, this practical apron will make your child feel like a real life chef! Velcro neck halter and tie-up waist straps. Three open front pocket for utensils. Dimensions: 61cm (h) x 45cm (w).